I cannot believe Thanksgiving is almost here already! It feels like I just put my Halloween decorations away and here I am faced with pulling Thanksgiving dinner together without a hitch once again. I have been up to my eyeballs in Christmas orders and busy rebuilding a termite eaten fireplace mantel for weeks so this year my Thanksgiving decorating will be simple. 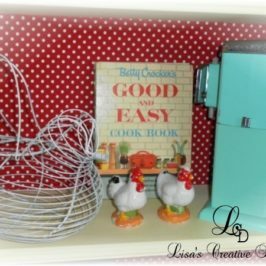 Today I would like to share with you a couple of pretty Thanksgiving tablescapes and decor that may inspire you with last minute decorating ideas. I absolutely adore mercury glass and the elegance it can give to any room. 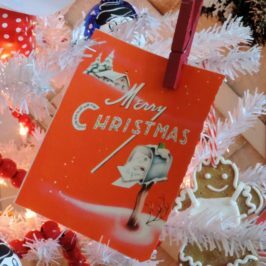 It looks beautiful on any holiday table as well. 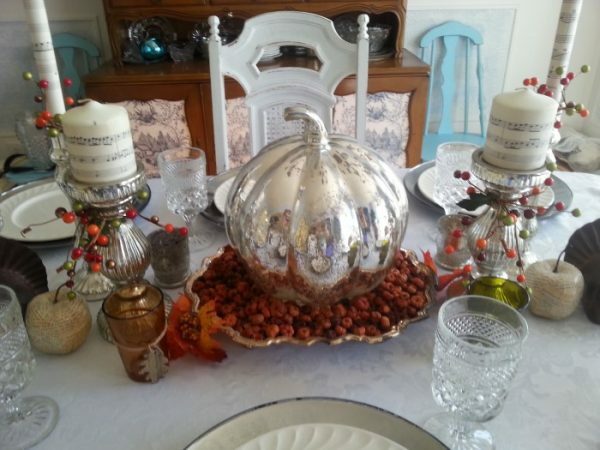 The main centerpiece of this Thanksgiving table is a large mercury glass pumpkin luminary. 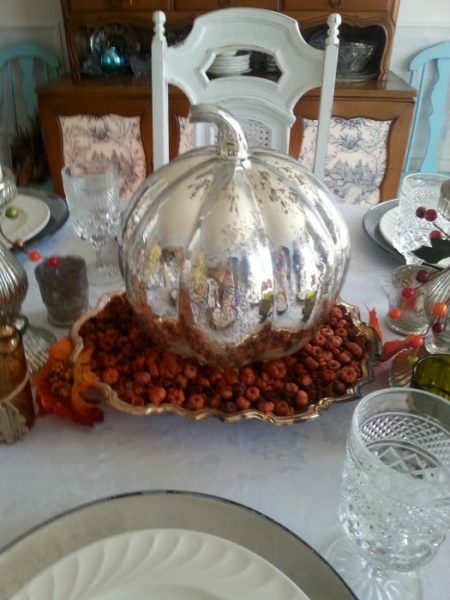 I set in on top of a vintage silver serving tray on a base of small miniature pumpkin potpourri. It is a beautiful focal point for this tablescape. Mercury glass candle holders flank each side of the pumpkin centerpiece. I wrapped each candle with vintage sheet music and faux berries. 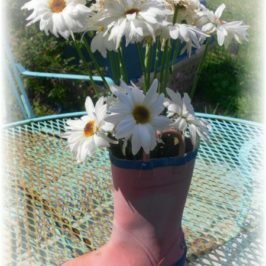 (They are for decorative use only.) 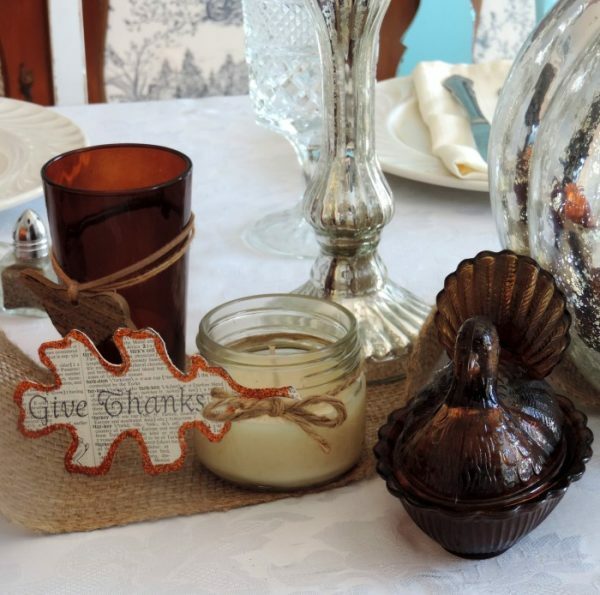 A few terracotta turkeys, decoupaged apples and glass candle holders in earthy colors complete the look. 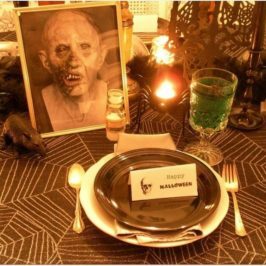 Each place setting features my DIY mercury glass charger plates as well. 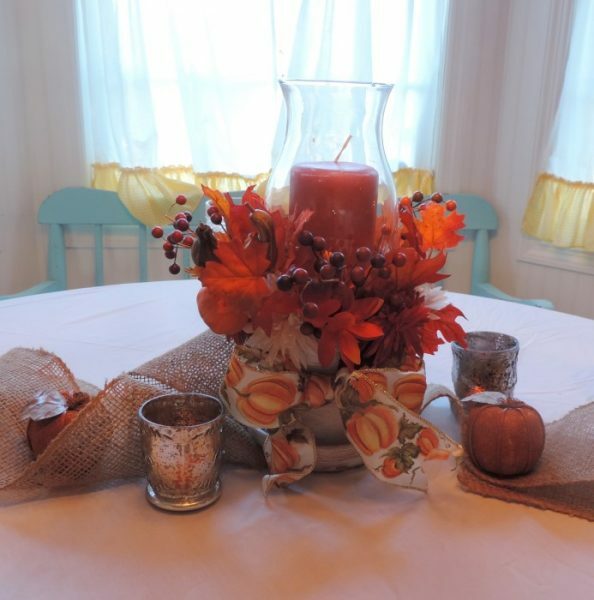 This is another variation of the above Thanksgiving table with the addition of burlap. 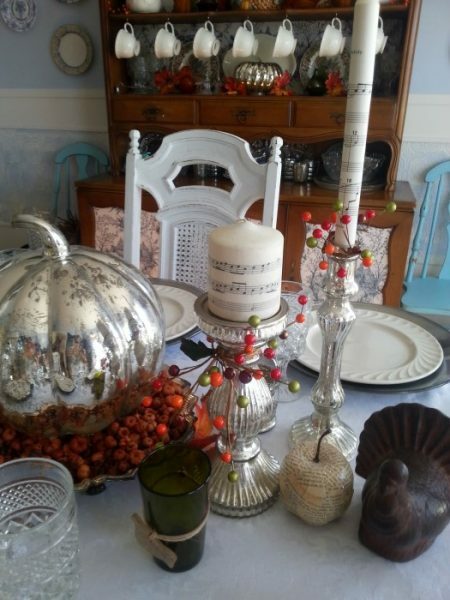 I again used the large mercury glass pumpkin as the main centerpiece and wound a wide burlap ribbon down the middle of the table. 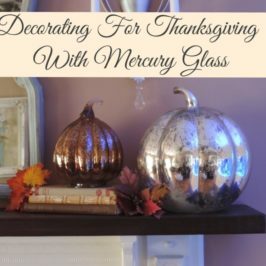 I tucked in a few more mercury glass pumpkins, adorable turkey covered candy dishes and candles. 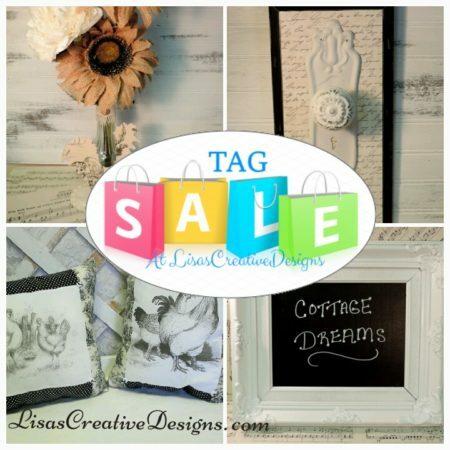 I added vintage inspired DIY Thanksgiving leaf tags to dollar store mason jar candles for added interest. 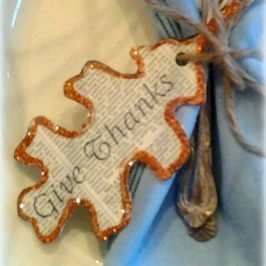 These cute tags can also be used as napkin holders. 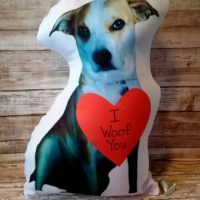 You can get complete instructions and printables to make your own here. In the kitchen I created a focal point at the kid’s table by placing an Autumn inspired floral candle arrangement I made a few years back surrounded by more burlap. By adding a couple of faux pumpkins and votive candle holders, we are good to go. 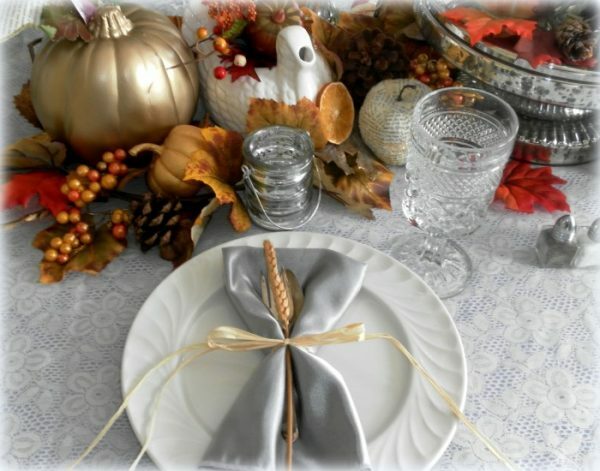 Dress up each place setting on your own holiday table by wrapping silverware in a cloth napkin. Tie a piece of raffia around the napkin and tuck in a piece of dried wheat found at your local craft store. 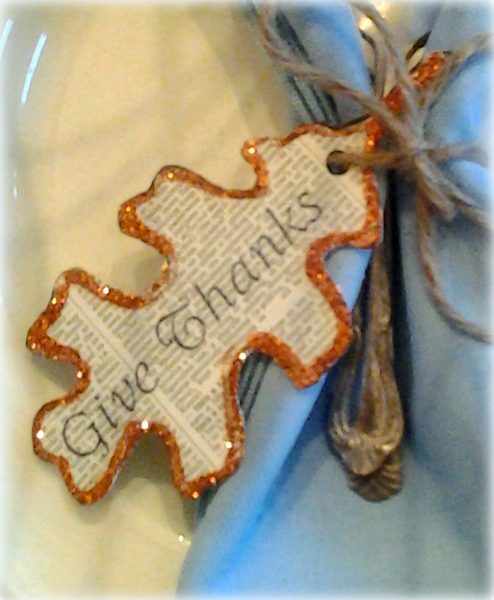 This will add a touch of country charm to your Thanksgiving tablescapes. If you love transferware like I do, Thanksgiving is the perfect time to show off a collection of Turkey inspired transferware. The large transferware platter was a lucky find at a local thrift shop. I was tickled to find a set of plates at my local Marshall’s store a couple of years ago. 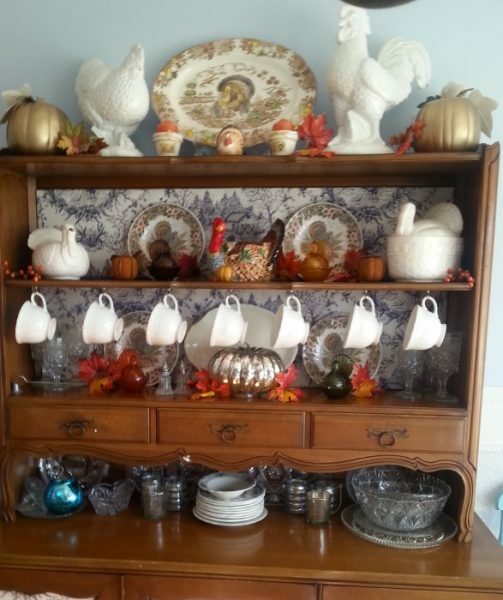 Every year they come out of storage and dress up my china cabinet for Thanksgiving. 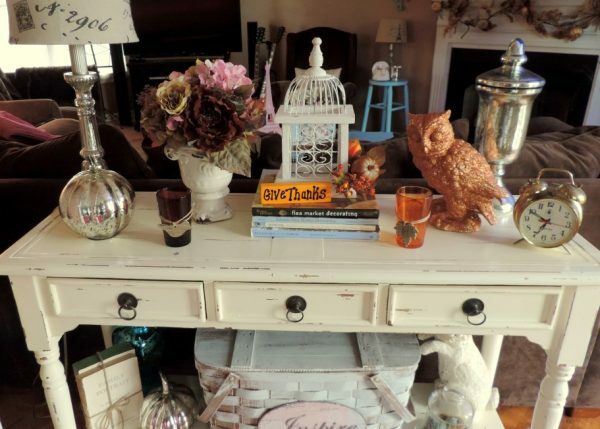 The living room received a few Thanksgiving touches with a large glittered owl, earthy candle holders, another mercury glass pumpkin and some faux berries. 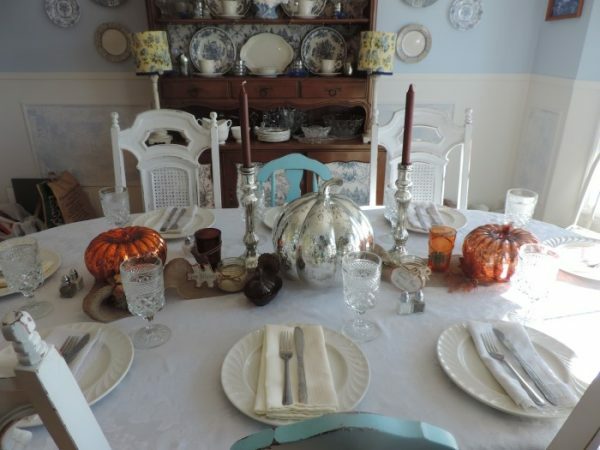 Pretty Thanksgiving tablescapes can impress your guests and set the tone for a wonderful holiday with family and friends. They may not even notice if you accidentally burn the dinner rolls because they will be too busy looking at all the pretty decorations! Happy Pink Saturday. 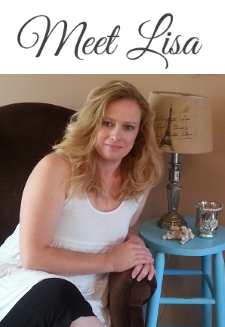 I am so glad you joined us to share these great table setting inspirations. 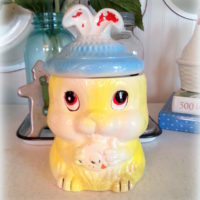 This post is being featured on my Pink Saturday post this week as “the one with the most clicks”. This is so pretty! 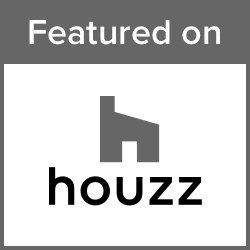 I always struggle mixing modern with a classic and more home-y feel. 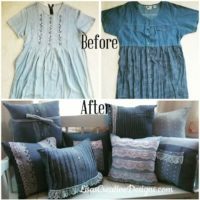 I want my family to feel a home in my house, but I still want it to reflect my personal style. 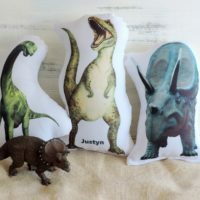 This is the coolest way to integrate them that I’ve seen! 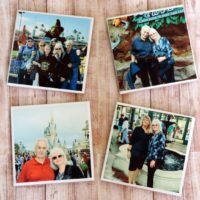 You should do more of these! 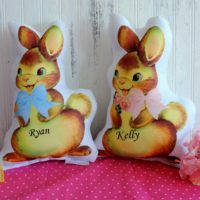 I would love to see some Easter/spring decoration ideas!